The British Gazette » A Question: Are the “Upper Class Twits” going to end up killing us as well as themselves? Above, Monty Python’s famous “Upper class twit” sketch. On Thursday 1st September, BBC2 “Newsnight” presented an interesting article about the continuing dominance in the investment banking industry of the “Upper set.” It seems that in order for a chap to land that plumb job certain actions that identify one as “Non U” and not “U” are to be avoided. Such as wearing brown shoes with a suit! Whilst many may dismiss this, we should be aware that the investment banking industry is an important sector of the economy as it has a great influence on the patterns of investment. One of the areas where considerable amounts of money are being invested is the development of what is known as “Artificial Intelligence” or “AI”. This is in the never ending effort to replace human beings (which after the abolition of slavery, required wages) with machines. It is interesting to note that the development of the “industrial revolution” accelerated after it became unlawful to force captured Africans into forced labour without paying them! The latest development concerns a powerful computer and it’s software in beating a world class “Go” player. Go is a Chinese board game more complex than Chess. The reason for building this machine is not to beat all humans at Go but as part of a project to develop a machine that can replace call centre staff. They want it to have the ability to make what would be perceived as a conversation with the human being at the other end of the line. This project in and of itself should flag up warnings. And not just about globalised international capitalism endlessly looking for the countries paying the lowest wages. The development of self aware artificial intelligence has had such luminaries as Professor Stephen Hawking warning that there are dangers here. The British Gazette endorses Professor Hawking’s comments. The British Gazette does however feel that there needs to be a new terminology to describe what is being developed. This is because WHEN – it is no longer “IF” – AI is developed it will be real. There will be nothing “fake” or “artificial” about it! A better term would be “Electrical Intelligence” as it is electricity that will power it. What is “artificial” is the appearance of LIFE. “EI” “Electrical Intelligence” will be “AL” meaning “Artificial Life”. Other accurate descriptions are “digital” as all electrically powered computers are digital. They are also constructed. Thus we can see the difference in description between artificial life, electrical intelligence that is constructed (i.e. ; manufactured) and living, biological intelligence that is born. So what should this new form of “life” be called? Well how about Digital Artificially Living Electric Intelligent Konstruction Or alternatively, Digital Artificial Life Electronic Intelligent Komputer? OR DALEK for short! Of course the Daleks of BBC’s “Doctor Who” have evolved over the decades. They are now shown to be life support mobility modules for horrifically deformed alien beings afflicted by a disastrous programme of genetic engineering. Let us therefore address the question of what digital artificially living electric intelligent constructions will look like? Well let us start off with an examination of why humans beings are as they are. We have eyes to enable us to see, ears that enable us to hear, mouths, tongues and vocal cords to enable us to speak. Of course we have noses which along with giving us the ability to smell enable us to breathe to keep the blood supplied with oxygen. Our mouths and their teeth enable us to send food to the digestive and it’s associated system to provide nutrients to keep the body working. Because we are mortal and the physical person needs to be replaced there are the male/female reproductive systems. Now let us consider what is required to sustain and enable digital artificially living electric intelligent constructions (DALEKs) to function. 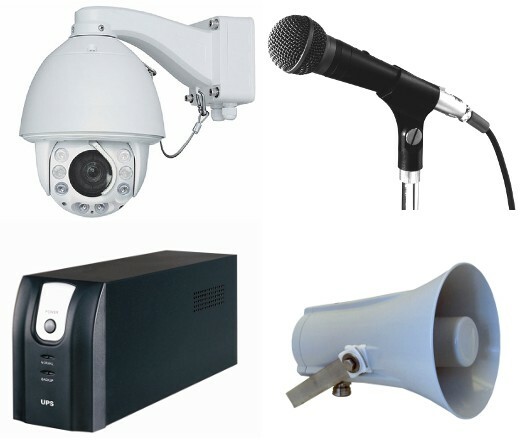 See the image below: As you can see, a single (or many) CCTV camera(s) to observe the world and those in it, microphone(s) to hear the world and those in it, loudspeaker(s) to speak to the world and those in it and of course an uninterpreted (or uninterruptible?) electrical power supply! 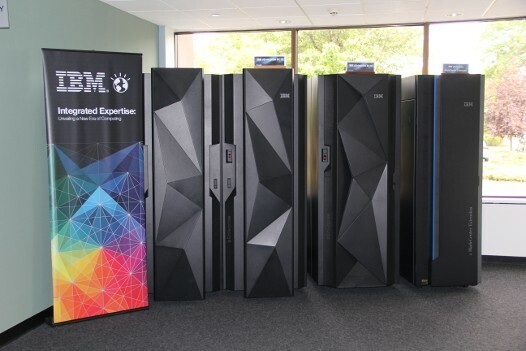 Of course, development of a computer of such a size – in terms of random access memory, processing capability and speed together with sufficient high speed (solid state or it’s successor) data storage capacity – is still some way off but for the sake of providing some form of illustration to aid the imagination, herewith below a trio of IBM zEnterprise mainframe computers: From left to right: EC12, BC12, Bladecenter Extension. Rather than consider this as the DALEK’s body, it would be better to think of it as it’s brain. It’s “body” with it’s cameras, microphones and loudspeakers would be many and worldwide. This is because the DALEK would be connected to the internet. Whilst it would presumably have it’s own directly connected camera(s), microphone(s) and loudspeaker(s) it would be able to see, hear and speak across the world. It might also have a wireless connected perambulation device that would enable it to move “a body” about the place. This however misses one important overriding and all important point! That the DALEK’s “mind” will not be like a human mind (which can only be a “stand alone” unconnected mind) but a mind that can be linked to others like it to form a single larger mind that is composed of physically separate parts but functions as a single entity. This is called a “hive mind”. The British Gazette however is not of the opinion that the DALEKs would seek to exterminate humanity. We think they would suggest (or require?) a merger. By the time DALEKs are developed nano technology will have been established and it is likely that an effective interface would be available. Upon hearing this from Comrade Corbyn, Tony Blair might commit suicide instead! So maybe the future is Laborg!